Exciting press here at Mama Jess! The whole team has kept it ‘hush’ for about a year now. 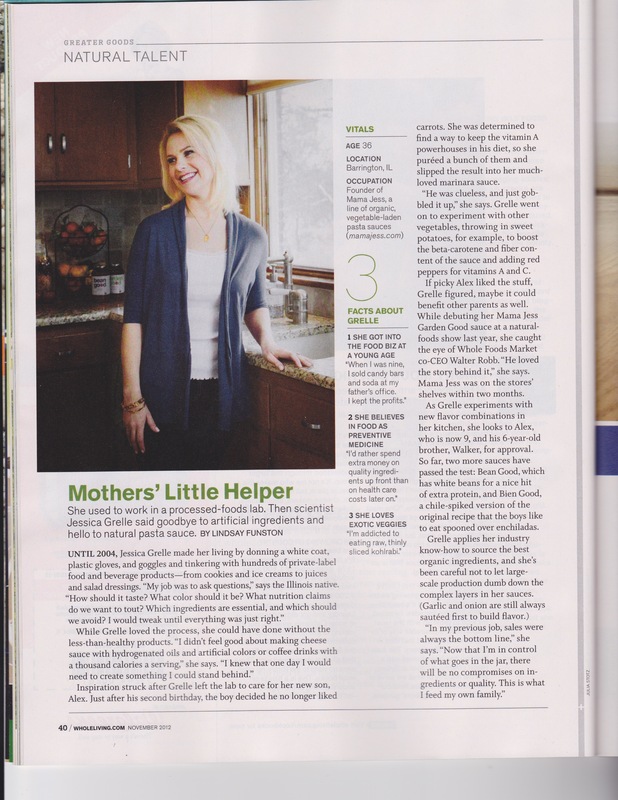 I am so honored and grateful to be featured as Whole Living’s “Natural Talent” feature. 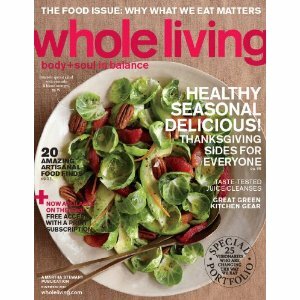 I know it doesn’t sounds real, but Whole Living is my favorite magazine. It has always been – even when it was Body + Soul. I try not to get too many magazine subscriptions because I utilize my library’s periodical section very often. But I allow myself a couple monthly treats -and Whole Living is one of them. All the iPad magazine readers might not understand, but there is still something I love about opening the mailbox and finding that glossy mag inside. I love to sit down in a quiet corner and cozy chair, and just immerse myself in Whole Living. I dogear pages that I want to come back to, recipes that I want to try, items I want to google, etc. I’d guess you’d say Whole Living has been a part of my continuing education for years. I certainly hope you have something to read that is as dear to you too. It was a pleasure having the Martha Stewart Omnimedia team to my house and my kitchen. Please read the great article they wrote. I think they did a fantastic job telling the Mama Jess story. I love that the story keeps adding chapters. Look forward to sharing many more with you.